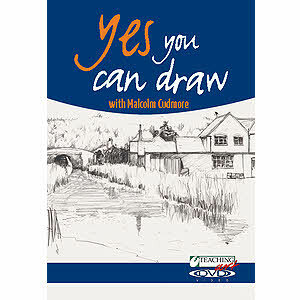 Malcolm is a Signature member of the UK Coloured Pencil Society and is the editor of the Society's quarterly magazine "Talking Point". He has demonstrated and run workshops at The Cumberland Pencil Museum in Keswick and his coloured pencil painting of Ashness Bridge in Cumbria features on the new packaging for the Derwent Artist coloured pencil range. Throughout 2012 he had a series of articles on coloured pencil techniques in the SAA "Paint" magazine.